Born in Nashville, Tennessee and raised in Lexington, Kentucky, James R. Boyd graduated from St. Andrew’s School, Middleton, Delaware. He enrolled at the University of Kentucky where in 1969, he received the Bachelor of Science degree in Electrical Engineering. While attending UK he was a member of Phi Delta Theta social fraternity and the freshman swim team. Mr. Boyd began his professional career as a sales engineer with Westinghouse Electric Company, first in New York City and later, St. Louis, Missouri. During this period, Mr. Boyd pursued graduate studies at New York University earning the Master of Business Administration degree in 1972. After completing his MBA degree, he transferred within Westinghouse to its operations in St. Louis, Missouri where he was named Manager of Generation Sales Midwest District. In 1977, he joined Westinghouse’s Corporate Planning Group in Pittsburgh, Pennsylvania, and in 1979, was named Manager of Business Unit Planning for the Distribution Products Business Unit. 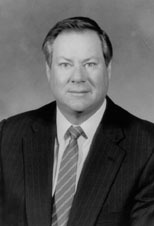 In 1982, Mr. Boyd joined Ashland Oil Inc., Ashland, Kentucky, as Manager of Strategic Planning. Within two years in 1984, he was named Ashland’s Director of Corporate Planning. In 1986, he was named Senior Vice President of Administration for Ashland Exploration, Houston, Texas. Shortly thereafter, he was named President of Ashland Exploration, serving in this capacity from 1987 – 1990. In November 1990, Mr. Boyd was elected Senior Vice President and Group Operating Officer, for Ashland Exploration, Ashland Services, APAC, and Arch Mineral Corporation. Mr. Boyd retired from Ashland in 2002. Mr. Boyd is Chairman of the Board of Arch Coal, elected to this position in 1998. Arch Coal is the second largest coal company in the United States with production of 140 million tons annually, supplying the coal for ten percent of the nation’s total electricity production. Mr. Boyd began service on the Arch Mineral Board in 1990. Arch Mineral merged with Ashland Coal in 1997, changing its name to Arch Coal and at the same time, going public. In 1998, Arch Coal bought the ARCO coal properties including the nation’s largest coal mine, Black Thunder, in Wyoming. Arch Coal currently has operations in six states. Ashland Inc. distributed 80% of its holdings in Arch Coal in March, 2000 to its shareholders and sold the remaining 20% to the general public in February, 2001. Professionally, Mr. Boyd is a member of the Institute of Electrical and Electronics Engineers, American Petroleum Institute, American Nuclear Society, and the Independent Petroleum Association of America. He also serves on the boards of Halliburton Inc. and Farmers Bancorp. A long time supporter of his alma mater, Mr. Boyd has served the University of Kentucky in a number of capacities including as a member of the College of Engineering Dean’s Advisory Council and BS/MBA Advisory Board, and the UK Development Council. He is a charter member of the College of Engineering’s first capital campaign steering committee, formed in 1996. He currently serves as the Engineering Chair of The Campaign for the University of Kentucky, the University’s first-ever comprehensive capital campaign. Additionally, Mr. Boyd is a past member of the Board of Trustees of Pikeville College, Pikeville, Kentucky, the Henry Clay Memorial Foundation, the Kentucky Nature Conservancy, the Kenton County/Greater Cincinnati Airport Board, and is past president of the Board of Trustees of the Foxcroft School, Middleburg, Virginia. Mr. Boyd and his wife, Elise, established the James R. Boyd Professorship in Electrical Engineering at the University of Kentucky in 1998. This endowed professorship advances research and graduate studies in the Department of Electrical Engineering, and also expands opportunities for undergraduate education. In 2003, they established the Elise White Boyd Graduate Fellowship. Away from the job, Mr. Boyd enjoys golf, hunting and rowing. He and his wife, the former Elise White, reside in Lexington. The couple has two daughters, Betsy and Mary Franklin.